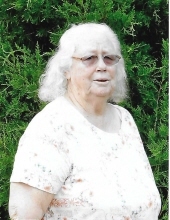 Shirley Nell Dewberry, 75, of Moss Point, MS, passed away on Tuesday, January 29, 2019. She was born April 30, 1943 to the late Mancil “Jack” and Therner Leger in Dothan, AL. She enjoyed puzzles, reading, fishing, crabbing, crocheting and gardening. Shirley’s family always came first and she especially loved her grandchildren. Along with her parents, Shirley was preceded in death by her brother, James Earl Leger. She is survived by her husband, Walter Lee Dewberry; daughter, Lisa (Ronnie) Schmitz; son, Joseph Lee Dewberry; grandchildren, J. L. Dewberry, Heather Dewberry, Laci Dewberry, and Dewayne Mathieu; great-grandchildren, Anthony, Brantley, and Madison; along with numerous other relatives and friends. Visitation will be held on Friday, February 1, 2019 from 12:30 p.m. until 2 p.m. at Heritage Funeral Home in Moss Point, MS. Funeral service will begin at 2 p.m. in the funeral home chapel. Interment will immediately follow at Serene Memorial Gardens. To send flowers or a remembrance gift to the family of Shirley Nell Dewberry, please visit our Tribute Store. "Email Address" would like to share the life celebration of Shirley Nell Dewberry. Click on the "link" to go to share a favorite memory or leave a condolence message for the family.